I’ve always had a ‘thing’ for Scandinavia. Mighty pine forests; glacial lakes; log cabins; roaming elks; northern lights and a healthy dose of Stieg Larrson, had all assimilated in my mind to create a perfect land of handsome people and stylish knitwear. Pickled herring aside, this is the sort of place I’d want to live. Having already been to Norway (which only served to heighten my Scandi obsession), I was set on visiting Stockholm, Sweden. I had high hopes for this island-based capital and chose to visit in autumn, when the leaves across the city turn a rich palette of orange, red and yellow. We landed in Stockholm to blue skies and streams of afternoon sunshine. Getting from Arlanda airport to Stockholm was extremely easy. If you are in a hurry, catch the Arlanda Express – the direct train into Stockholm. This takes twenty minutes and will cost you 280 SEK (£21). However, if you are on a budget (and let’s face it, if you’re visiting Sweden, you’ll need to be), then catch the bus, the Flygbussarna, which takes around forty minutes and is 99 SEK (£8). The bus comes every ten minutes and so we only had a short wait before beginning our drive into Stockholm. Arriving in the city’s Cityterminalen, we headed straight to the Tunnelbana, which is the easiest way to get around the city. We picked up a travel card for three days, which was 150 SEK and was well worth the investment. It’s an easy, efficient and fast way to get around the city, plus thanks to the regular announcements, you learn how to pronounce the destinations. Correctly. We were staying down in Södermalm; Stockholm’s version of Shoreditch, perhaps. 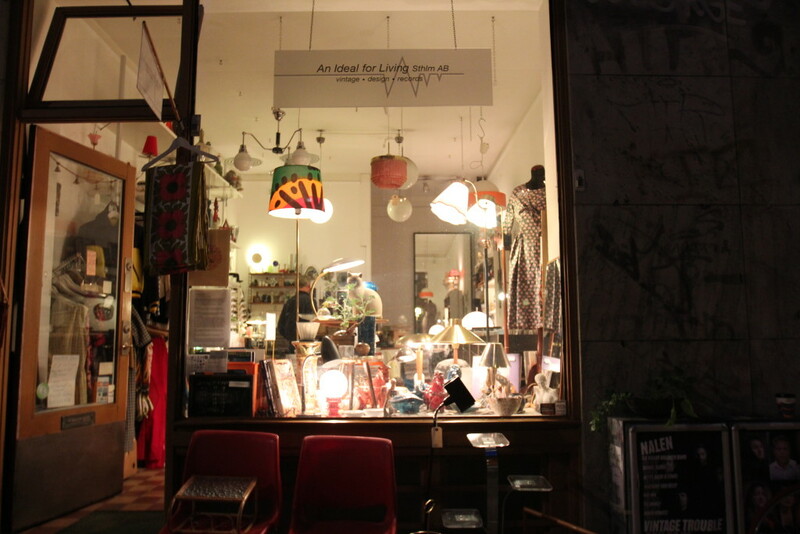 Filled with vintage stores, fashion boutiques, coffee labs and achingly cool Swedes, it’s a very fun and relaxed place to stay. 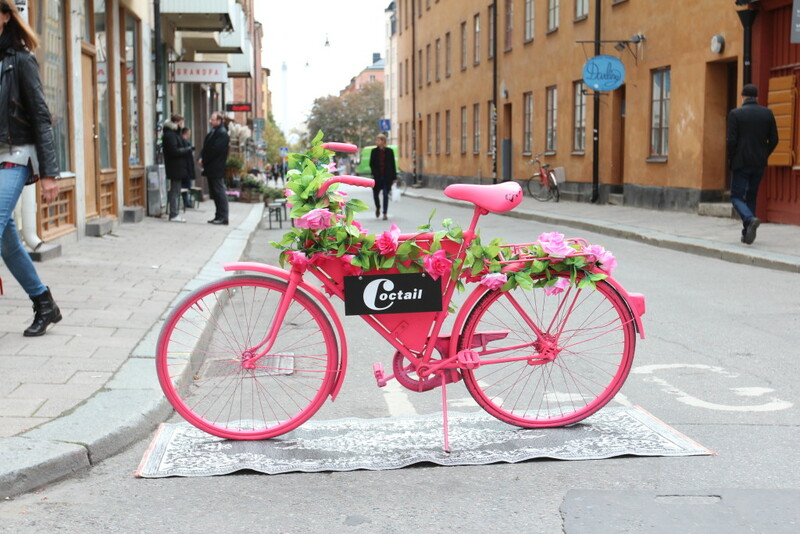 Also known as SoFo (named after London’s SoHo), this area is only two stops from Stockholm’s Old Town, Gamla Stan, and so is fantastically located. It’s a leafy part of the city, filled with red brick apartment blocks clustered alongside traditional wooden ‘ginger bread houses’. This mixture of new and old gave the whole area a great feel. We spent a morning wandering around Södermalm, visiting some great stores such as Grandpa and the very cool café, Älskade Traditioner. This place felt like a retro mix between an American diner and a Swedish café, and offered amazing waffle based dishes. I’d definitely recommend a visit! 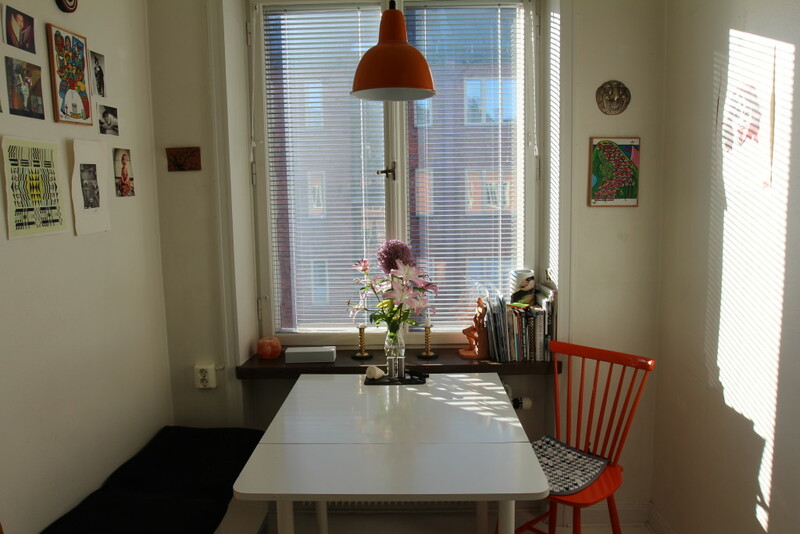 Thanks to Airbnb, we were staying in a studio apartment, which was every inch the Scandi-cool experience I had hoped. Overlooking some fantastic cafes and restaurants, the studio was full of bright cushions, vintage postcards and modern art work. At a snip of the cost of some of the more centrally located hotels, I’d definitely recommend looking into self-catered places when visiting Stockholm. It really is worth it. 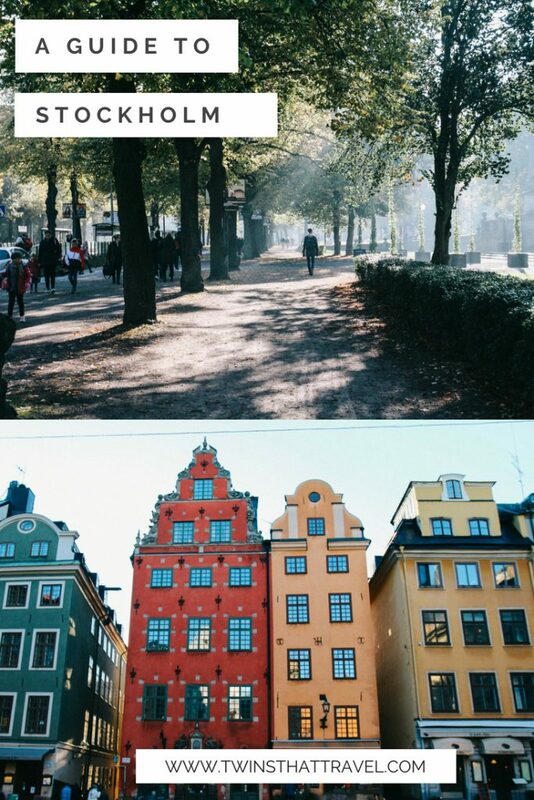 After settling into our cute apartment, we immediately headed back to Gamla Stan. Stockholm is a city situated on 14 different islands, sitting on the cusp of an archipelago. The Old Town therefore sits on a little island of its very own, surrounded by the dark and cold waters of the Baltic Sea. The contrast with the rest of Stockholm is immediate. This island is one of winding cobbled streets; tall, slanting buildings of warm reds and oranges; pink palaces; churches; and medieval squares. We immediately walked into one such square: Stortorget. 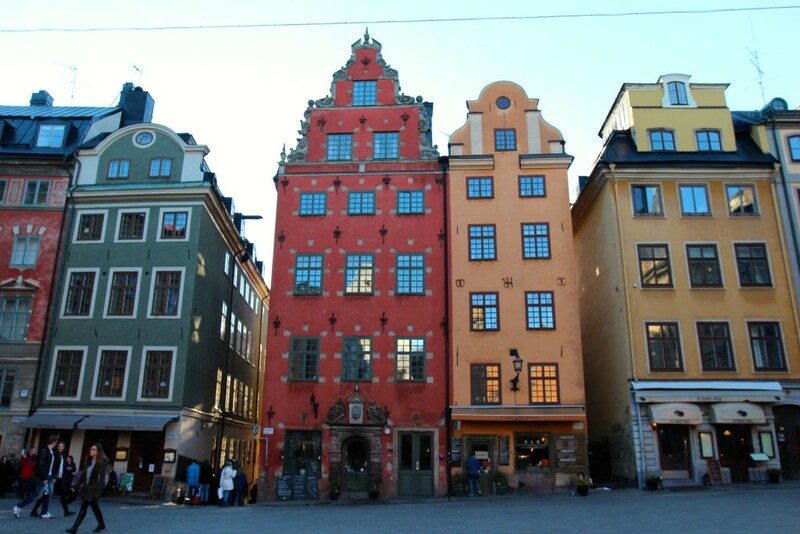 This is Stockholm’s oldest square and filled with iconic buildings, including the famous ‘Number 18’ and ‘Number 22’ buildings – two tall, unusually shaped houses. It was in this square that we had our first taste of that infamous Swedish tradition, ‘Fika’. A social institution in Sweden, Fika means to take a coffee break with friends, colleagues and family, perhaps enjoying a tasty pastry on the side. 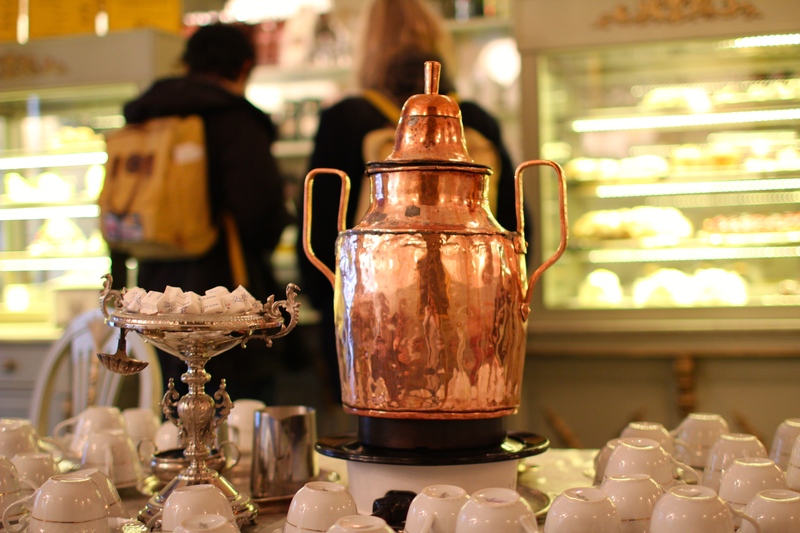 With many swedes enjoying up to 8 Fika a day (another reason to move here), it’s safe to say there are plenty of cafes around to escape from the cold and warm up over a hot drink and something sweet. We visited Chokladkoppen, a well-known café in the central square. Filled with sparkling glass chandeliers, a beautiful stained-glass window and a large bronze coffee urn in the centre (free refills, of course) this place felt like a mix between a Parisian teahouse and a Scandanavian café. A quick tip: the hot chocolate here is incredible and is effectively molten chocolate mixed with cream. Please try it if you visit! 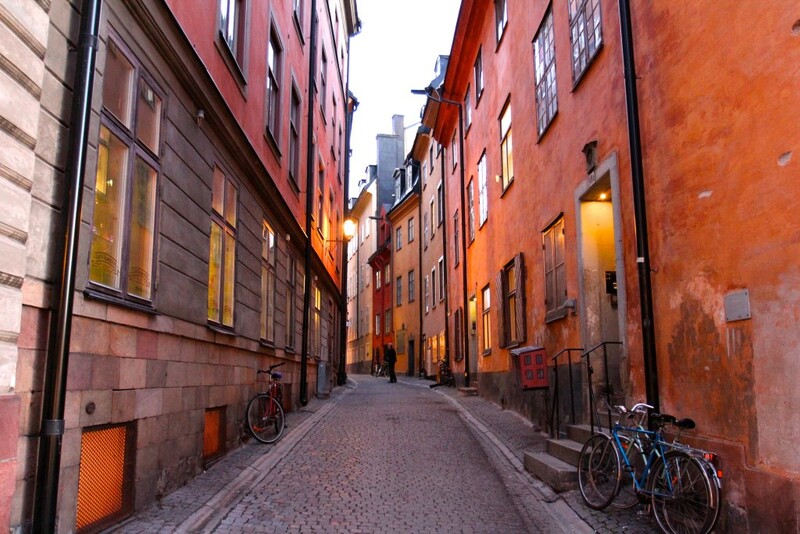 You can spend many hours wandering the narrow streets of Gamla Stan. Having seen some of the most popular sites, such as the Cathedral, Riddarholm Church and the Nobel Museum (home of the Nobel prize), I’d really recommend just taking the time to explore these small alley ways. One thing that struck me was just how much effort is put into decorating the storefronts throughout Stockholm. Each feels like a miniature exhibition, with windows carefully adorned with flowers, plants, wooden carvings and lanterns. As dusk settled in and shadows cast their way across the streets, each window was aglow with flickering lights and flames, creating a fairy-tale like feel to the town. It was incredibly beautiful. Having enjoyed our first night in our small but perfectly formed apartment, the next day we woke up to more incredible sunshine and wonderfully crisp autumnal air. 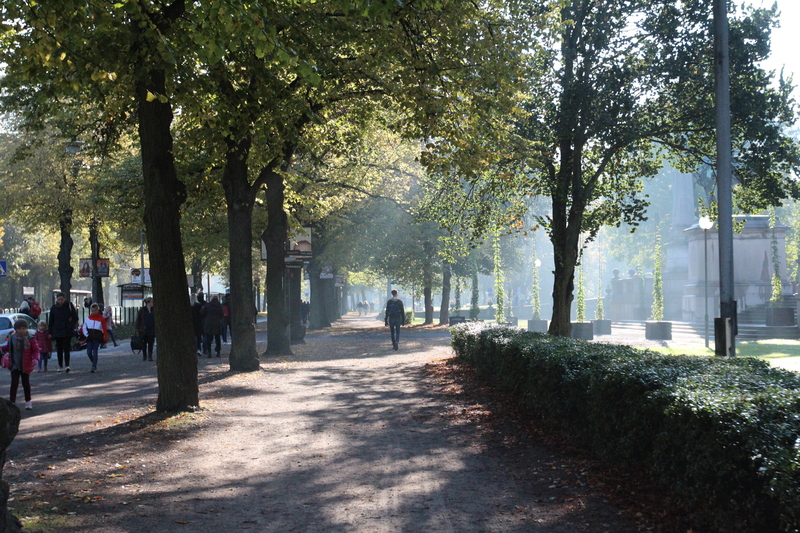 We decided that it would therefore be the perfect opportunity to explore Djurgården: Stockholm’s ‘garden’ island. Easy to get to, simply head to Östermalmstorg on the Tunnelbana and it’s a short walk from there. Officially ‘royal land’ and where the bearded King John III used to hunt his reindeer and elk, this green and lush island is now filled with picturesque walks and many museums. This island was most definitely my favourite spot in Stockholm. As we walked through, the early morning fog hung in the air and sunshine poured through the golden and red leaves. Cool, dark water stretched out on both sides of the island and acted as perfectly still mirrors, reflecting the jewelled-coloured trees that lined their banks. The air was crisp and people walked quietly past, walking their dogs and clutching their steaming coffees. I was, my friends, living the Scandinavian dream. Our first call was Skansen, a vast open air museum. This is most definitely a place to visit. 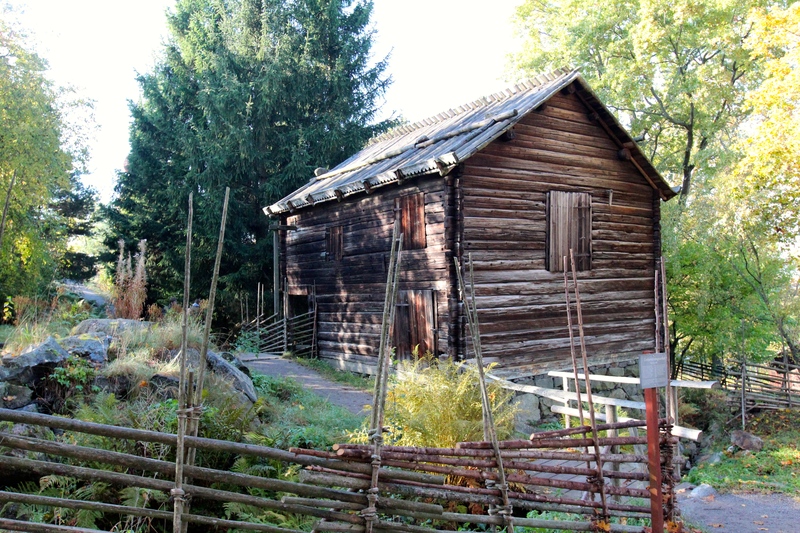 Founded in 1891 by Artur Hazeliu, the museum is a miniature microcosm of Sweden throughout the ages. As you wander around beautiful parkland, lakes and ponds, you come across a range of traditional Swedish buildings and examples of rural living, complete with a bakers; a traditional Skåne farm; a Sami settlement; glass blowing workshop and a zoo of native Scandinavian animals (think reindeer, elks and bears). Rather than feeling contrived, this really is a beautiful place to visit, with traditional buildings nestled into pine forests and herb gardens. Furthermore, sat atop a hill, the museum provides incredible views across Stockholm, which on this beautifully sunny day, was really something. We spent around four hours here, enjoying the walk through the little villages and workshops. 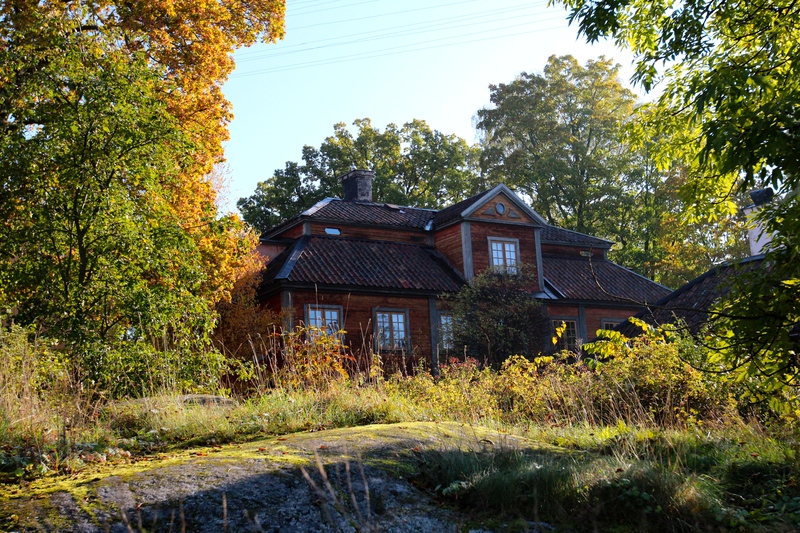 Once we left Skansen, we decided to take advantage of the late afternoon sunshine and walked around Djurgården, taking in the magnificent pastel coloured wooden houses and scenic walks. We then had just enough time to stop for a much needed Fika back in Gamla Stan (where I had my first ‘Nutella Bomb’ – an intense experience), before heading down to Södermalm for dinner at the renowned Pelikan restaurant. What’s a trip to Sweden without some meatballs, washed down by some Aquavit, I hear you ask? That’s exactly our thought as we entered this traditional Swedish restaurant, established in 1733. After gaining its name from a local pelican who nested nearby, the restaurant is situated within a vast, wooden building, with high ceilings and a beer-hall feel. It is a fantastic venue! Serving up delicious traditional Swedish food, Pelikan prides itself on its ability to serve up ‘plain food’ at its very best. Here you can gorge on meatballs and gravy, pickled fish, roasted reindeer and fried salted bacon to your heart’s content (or as far as your budget allows). Although a little expensive, I would nonetheless recommend this restaurant. 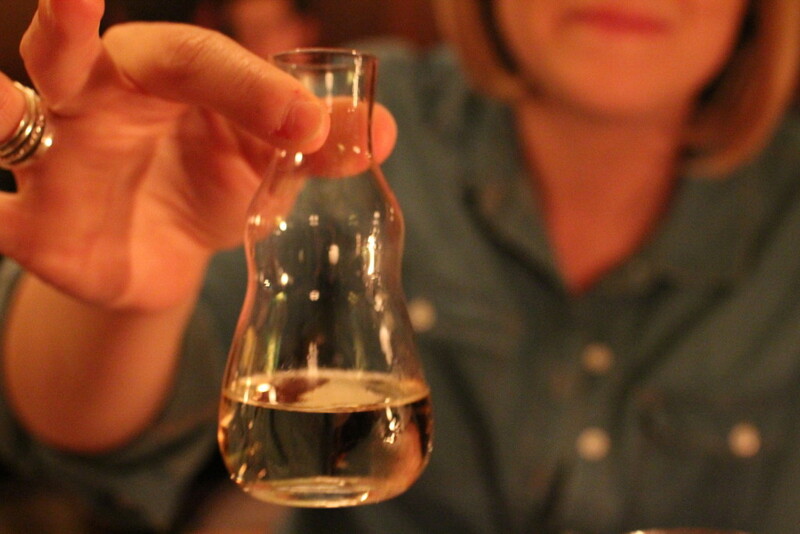 We had a fantastic night here, sampling Aquavit whilst surrounded by a wonderful atmosphere. We returned to our apartment that night, full of food and 100% proof alcohol, ready to see what Sunday would bring. "Day Trips from London: A Guide to Sintra"
Great post! Articulate and interesting. Really looking forward to visiting Sweden next month now.